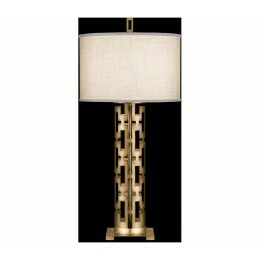 Table lamp in a burnished gold leaf finish with subtle brown highlights and white textured linen shade. Also available in platinized silver leaf finish: 787310. 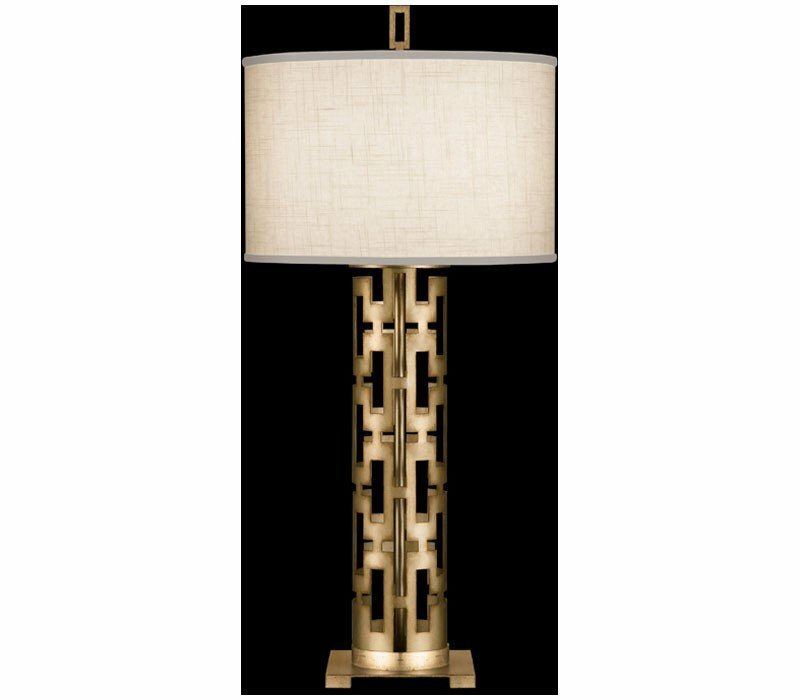 The Fine Art Lamps 787310-2 Allegretto collection Table Lamps in Burnished Gold Leaf use Incandescent light output and bring Modern style. This item is 33"H x 15"W. The total wattage is 150 and the voltage is 120 volts. 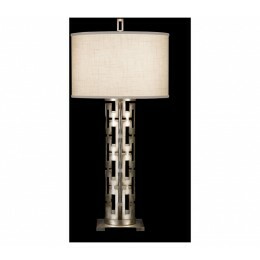 The Fine Art Lamps 787310-2 requires 1 bulb (not included). Additional Information: Shade-Off-White Textured Linen Shade(s); Control-3-Way Switch.